industry and set a model for curing the employment downfalls of the industry. training and to ensure employment for a specific percentage. As planned during the preparation of the project, trainings are continued with the contribution of the infrastructure gained, for the sustainability of the project. Deniz Haber. 2011. “Denizcilik Sektöründe 7 Bin Gemiadamı Açığı”. 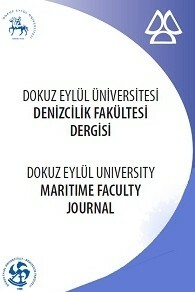 Marine Accidents Investigation Branch. 1999. “Annual Report”. cfm. (Accessed 10 June 2011). The Central Finance and Contracts Unit. (2011). Turkiye İstatistik Kurumu. (2008). “İşgücü İstatistikleri”. http://tuikrapor.tuik.gov.tr/reports. (Accessed 15 March 2008). Turkiye İstatistik Kurumu. (2011). “İşgücü İstatistikleri”. http://tuikrapor.tuik.gov.tr/reports. (Accessed 12 June 2011).